Villas & Town Houses on the magnificent Santo Antonio Golf Resort, The View, Salema & Quinta do Montinho, Budens. Sensible Prices, Discount for Early Booking. 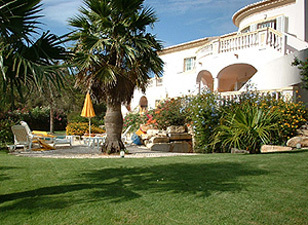 Jasmine Villas is a family owned English company, with twenty years experience in the west Algarve.The majority of our properties are in the exclusive Santo Antonio Villas, Golf & Spa, The View in Salema & Quinta do Montinho in Budens. We are able to offer the discerning traveller a selection of carefully chosen properties furnished and equipped to the highest standard. Your holiday can be whatever YOU choose. If you just want to relax and chill out all our villas have private pools and extensive sun terraces. Guests staying in the town houses at Santo Antonio and its sister resort of The View in Salema have the facility of a large communal pool. 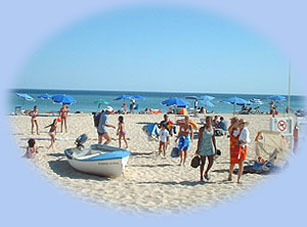 Also there is the Atlantic coast and the many delightful beaches just a few kilometres away. We are also able to supply you with cots, high chairs, Z beds and buggies. These must be reserved at the time of booking. We have an arrangement with a Car Hire company. Collection is right outside the arrivals hall at Faro airport or alternatively the car can be delivered directly to your villa. Please click here for details of the cars available and a price list. 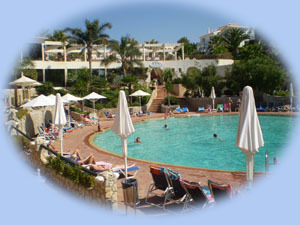 Taxi Service :- if you don't want to drive from Faro we can order a taxi to pick you up at the airport. Vincent and Isabel of Salema Taxis will meet you at the airport and bring you to your villa.